Travelling light? Here are the skincare essentials you shouldn’t leave behind. So you’re off on vacation and you need to be selective about the skincare essentials you take, and which ones you leave behind. It’s a tricky decision – since many of us have lots of lotions and potions we depend on to keep us looking and feeling our best. Here we help out with our run-down of key essentials you should never leave behind – whether you’re hitting the slopes, roaming the Rockies or soaking up the sun in the Caribbean. This one should go without saying – but an astonishing number of women rely on sourcing sunscreen once they step off the plane on the other side. The problem with this is that you may not be able to find a sunscreen that meets your needs (or provides adequate protection) once you arrive at your destination. Different countries have varying criteria, regulations and ratings when it comes to sun care – so it’s worth purchasing products beforehand in familiar territory to be sure of quality and compatibility. Also finding something that is suitable for you and your skin type is key. This is especially important if you have specialist requirements, such as eczema or sun cream sensitivity, very fair skin, scarring or photosensitivity. After a long day spent in the sun or hiking in the hills your skin is going to need a thorough cleanse, followed by a restorative, soothing, balancing moisturiser. Your cleanser should be natural and gentle yet effective enough to remove excessive daily dirt caused by increased activity outdoors and sweating. Take a premium, proven anti-ageing moisturising cream (and serum if you have space) to help skin to rejuvenate overnight. If you’re stuck between day and night cream and don’t have room for both take the day cream – it still contains active ingredients and won’t be too heavy for daytime wear. 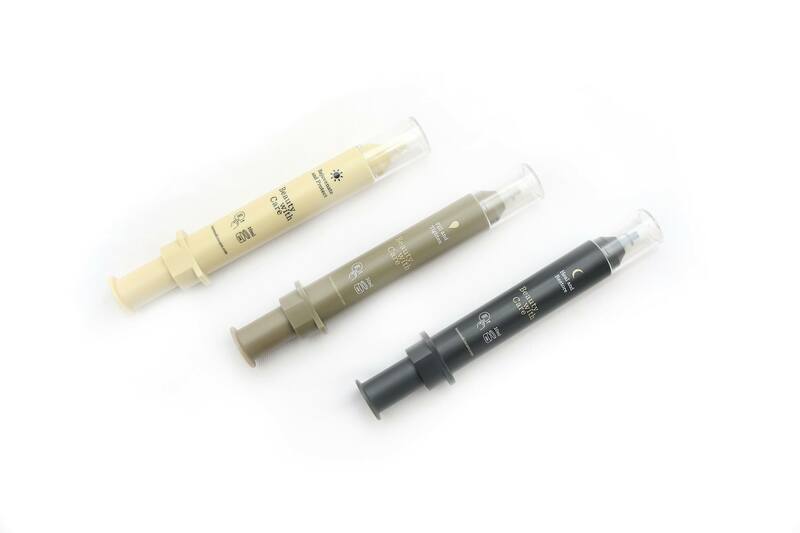 Our Introductory Set comes with handy 100ml syringes – ideal for the cabin. Skin can become dry or overly oily throughout the day as it adapts to a different climate. A vitamin-enriched face spritz can help to hydrate skin periodically, infused with natural ingredients including aloe and rose water to soothe sun or wind burn and witch hazel to keep blemish-causing bacteria at bay. It is especially useful in hot, dry or humid environments as relief for thirsty or parched skin that is being exposed to the sun for longer periods of time. Shop our Introductory Set here.